How to add a banner to your signature? NEWOLDSTAMP is not just a service to create a signature. Now email signatures become your new marketing channel. And NEWOLDSTAMP is the tool that can help you start using it. A banner can be an interactive call to action to attract people and here is how to make it work. You can find the banner section on the bottom right-hand corner of the signature editor. 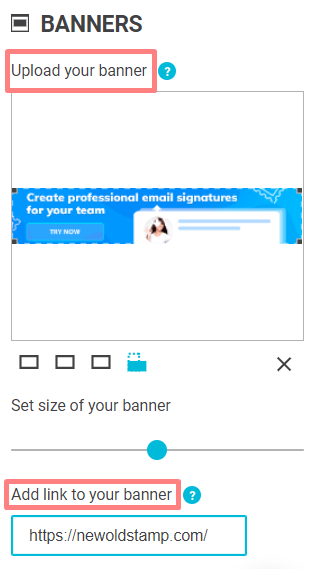 After you uploaded your banner you can change its size and add a link to it. Then, you can track clicks and impressions of it in your analytics section! Moreover, you can choose one of the prepared banners for you for various occasions and with different call-to-actions. You will definitely find what you need among dozens of them! By the way, did you notice you have a Banner Manager at the dashboard? 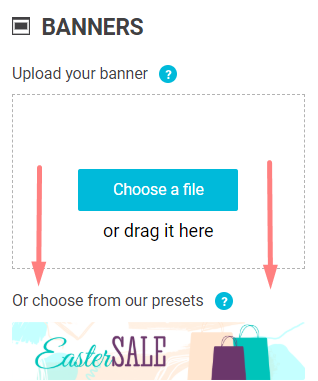 You can gather all your uploaded banners from different campaigns in one place. Manage your banners easily and enjoy how attractive your signatures becomes!